Frederick Willard (born September 18, 1939) is an American actor, comedian, voice actor, and writer, best known for his improvisational comedy. 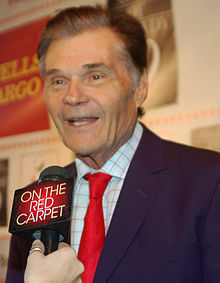 In: Fred Willard Quotes - Fred Willard on Comedy, Celebrity ... at esquire.com, Dec. 20, 2010. When you get to a certain age, it's kind of the same thing. There's no new school to go to, no new teachers. There's some comfort in that. This page was last edited on 1 December 2018, at 00:35.